Bencardino Excavating consists of a team of 85 construction professionals and skilled crafts people who are dedicated to performance and productivity. Founded in 1988 by Louis A. Bencardino, we're a family-run business - doing big jobs, but keeping relationships small and personal, so you don't have to go through 50 people to get our attention. We proudly service the Philadelphia and surrounding five-county area, including Bucks, Montgomery, Chester, Camden, and Mercer counties, as well as the Western New Jersey suburbs. 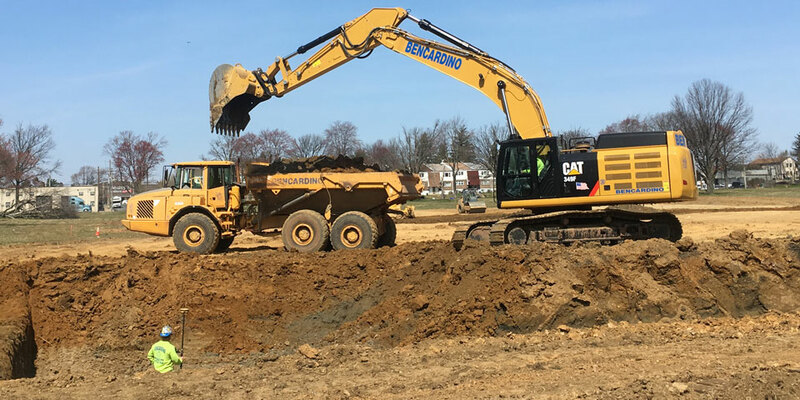 Bencardino Excavating has worked with airports, schools, banks, and other institutions, and has served a diversity of industries, including the pharmaceutical and chemical industries. We use the most high-tech, late-model equipment, combined with talented staff, who see each job all the way through, ensuring projects are done efficiently and on-schedule. We like when prospective clients review our list of satisfied customers, read about our successes, and learn more about the site work services we provide. OUR CUSTOMERS ENJOY WORKING WITH US! Because Bencardino Excavating offers consistently competitive pricing, quality people, and quality equipment. Because we show up on time, and we do excellent work right on-schedule. But our work always speaks for itself. Bencardino Excavating has worked with airports, schools, banks, and other institutions. We have served a diversity of industries, including the pharmaceutical and chemical industries all across Philadelphia and the surrounding five-county area, including Bucks, Montgomery, Chester, Camden, and Mercer counties, as well as the Western New Jersey suburbs. 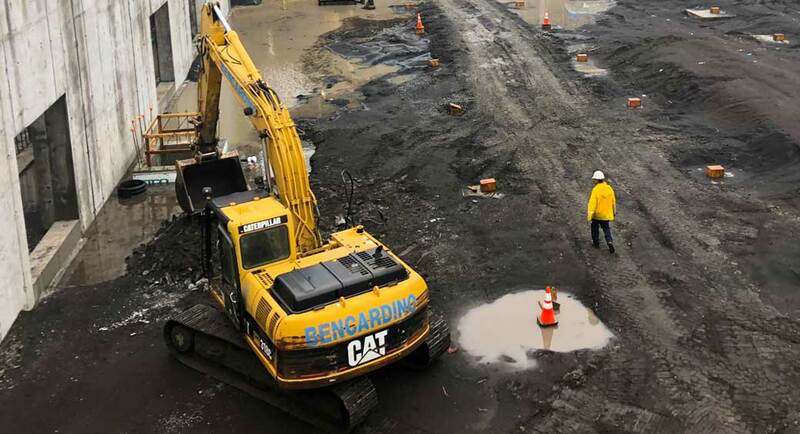 We highly value the well-being of our employees so we take safety seriously at Bencardino Excavation. All of our employees participate in a 10-hour OSHA course, and received confined space training. In addition, we regularly distribute safety briefs to our workers and conduct weekly "toolbox talks" on safety for each job. We also require all new employees to attend CPR classes, and all of our drivers must attend driver safety class. On-site, we use all the appropriate trenching and shoring techniques to ensure the well-being of our employees, and our personnel are always equipped with the proper protective gear. After graduating high school, Louis A. Bencardino earned his stripes raking concrete, digging footings, and grading and stoning slabs for a neighbor who had a concrete business. He soon decided he'd rather go back to school so he studied to be a computer repair technician. In 1986 he landed a job with Xerox. 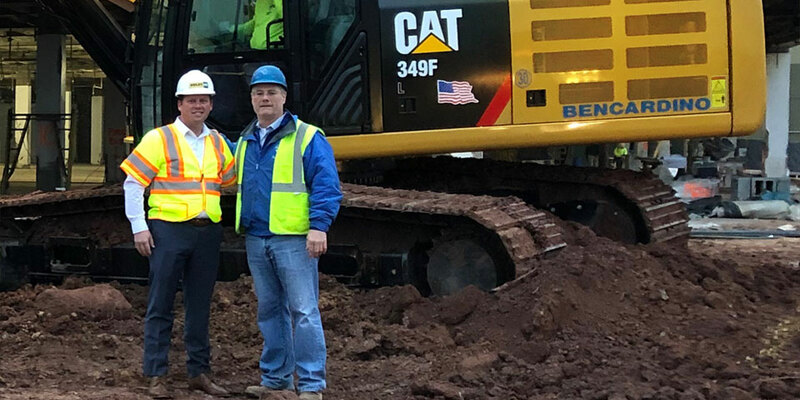 Soon realizing that office life with a briefcase wasn't for him, Lou Bencardino naturally returned to his neighbor's concrete business and gained more skills, learning to use a backhoe among them. Armed with his newfound abilities, Bencardino set out to buy his own backhoe and start an excavating business. He had his first backhoe delivered to his mother's house because he had nowhere to put it! Doing odd excavating jobs, Bencardino caught the attention of A.T. Chadwick, which sent him on his first independent job to a chemical plant in south Philly. Bencardino recalls leaving at 2 a.m. and driving the backhoe all the way there. Chadwick quickly became a good customer, keeping Bencardino busy for the next few years. From Chadwick, he also learned sanitation/storm and mechanical work. 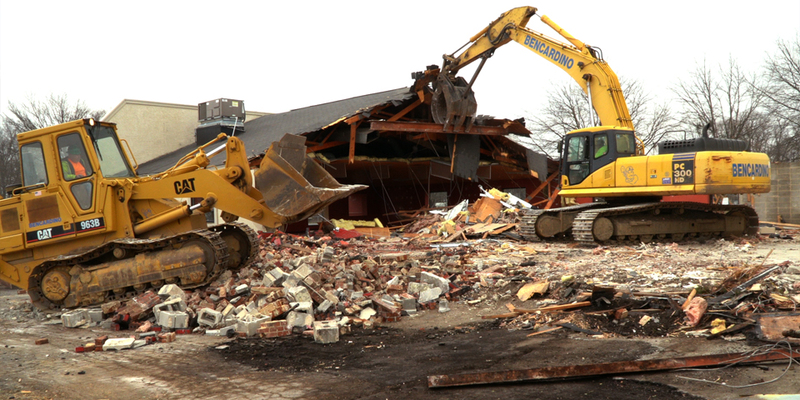 Growing quickly and steadily over the years, Bencardino Excavating built a large shop building in 1995, and in 1999 built an adjacent office building, which now houses 85 employees. "My mother handles all the accounting & taxes. When it comes to trust, there's no question. "Being willing to do whatever it takes, whenever. We don't say no to anyone." "I've had a lot of it, but I think luck also comes from working hard." Bencardino goes above and beyond the call of duty. On a paving job at CVS/Commerce Bank in Bensalem, they spent a lot of time working the soil to dry it out, in order to get the paving done right. I also like that they’re organized." - Mark Warholic, Vice President of Construction, Builders, Inc.